Do Psychiatrists Use Structured Interviews In Real Clinical Settings? I enjoyed reading Dr. Pies’s article “How Objective Are Psychiatric Diagnoses? (Guess Again)” published in the October issue of Psychiatry 2007 and I agree with the article’s conclusion. Dr. Kelwala’s letter to the editor regarding Dr. Pies’s article criticized structured interviews because they have a narrow range of alternatives and do not explore the “deep layers of the mind.” As the discussion on the use of structured interviews got heated, I could not help asking the question: Do psychiatrists actually use structured interviews in real clinical settings? In this column, I will answer this question based on my personal experience, and then I will pose the question to the readers of Psychiatry 2008, with an opportunity to respond. In my opinion, psychiatrists do not use structured interviews in actual clinical settings, whether inpatient or outpatient. Since starting my psychiatric residency in 1990, I have not seen a single psychiatrist use structured interviews in routine clinical practice. In September, 2007, I presented at the annual meeting of the Association for Academic Psychiatry in Boston to an audience of psychiatrists, and posed the question: Do any of you use structured interviews in your actual work with patients? Not a single hand was raised. I opine that psychiatrists do not use structured interviews for three main reasons. First, structured interviews were designed as research tools to be used in research settings and not designed for psychiatrists to use in actual clinical settings. Second, structured interviews are too time-consuming to be considered an efficient use of time during routine patient visits. Whether a psychiatrist works in a private facility or a university setting, if he or she is not efficient and productive, someone (whether a financial officer or the Chairman of the department) will be on the psychiatrist’s back telling him or her that the level of productivity is not compatible with the salary! It is sad but very true. Finally, the rules of structured interviews make it very difficult for the psychiatrist to establish a rapport with the patient. I had the luxury of two funded grants that allowed my research team and myself at West Virginia University to use two structured interviews: Structured Clinical Interview for DSM-IV Axis I Disorders (SCID-I) and the Schedules for Clinical Assessment in Neuropsychiatry (SCAN). [2–5] By virtue of the funds, we had the time to interview more than 100 patients using the SCID and the SCAN. Each interview took an average of two hours, and the process of selecting the patients was very difficult. Even with my extensive experience in using both the SCAN and the SCID, I cannot use either instrument on a routine basis in a clinical setting. The authors of the SCID shortened the tool and called it the Clinician Version of the SCID (SCID-CV), which is the same as the original, except it is limited to the DSM-IV diagnoses most commonly seen in clinical practice. Similarly, our colleague, Dr. Fokko Nienhius, derived a short version of the SCAN for clinical use that included important clinical sections and a modification of the symptoms ratings. The SCID, the SCAN, and their clinical derivatives are not practical to use in the routine clinical work of psychiatrists. For these reasons, I have worked for the past six years to develop and test a new instrument, which has been named the Schedules for Clinicians’ Interview in Psychiatry (SCIP),[6–10] designed to be used by psychiatrists in the real world of psychiatric practice. The sample size of the SCIP project exceeded 1,000 and there will be upcoming publications with regard to this new instrument. We invite our readers to send us their responses to the question: Do you use any structured interviews (not just a rating scale) in your routine clinical practice, whether inpatient or outpatient? • If your answer is no, tell us why. • If your answer is yes, tell us which structured interview you use. For what percentage of your patients’ load do you use the structured interview routinely? E-mail your responses to: Elizabeth Klumpp, Executive Editor, eklumpp at matrixmedcom.com. Please include “Use of Structured Interviews” in the subject line of your e-mail. Please limit your responses to 100 words. Please include your name, title, and affiliation in your e-mail. No information that identifies respondents will be published with the data.The response data will be included in a follow-up column in the journal. 1. Pies R. How “objective” are psychiatric diagnoses? (guess sgain). Psychiatry (Edgemont). 2007;4(10):18–22. Comment in: Psychiatry (Edgemont). 2008;5(2):20–21; author reply 21–22. 2. Spitzer RL, Williams JB, Gibbon M, First MB. The Structured Clinical Interview for DSM-III-R (SCID). I: history, rationale, and description. Arch Gen Psychiatry. 1992;49(8):624–629. 3. Williams JB, Gibbon M, First MB, et al. The Structured Clinical Interview for DSM-III-R (SCID). II. multisite test-retest reliability. Arch Gen Psychiatry. 1992;49(8):630–636. 4. Wing Jk, Babor T, Brugha T, et al. SCAN. Schedules for Clinical Assessment in Neuropsychiatry. Arch Gen Psychiatry. 1990;47(6):589–593. 5. First MB, Spitzer RL, Gibbon M, Williams JBW. Structured Clinical Interview for DSM-IV Axis I Disorders-Clinical Version (SCID-CV). Washington, DC: American Psychiatric Press, Inc., 1997. 6. Aboraya A, Zheng W. The Schedules for Clinicians’ Interview in Psychiatry (SCIP): a new innovative educational tool with dual funtion—clinical management and research. Proceedings from Association for Academic Psychiatry Annual Meeting. Boston, MA: September, 2007. 7. Aboraya A. The Arabic Version of the Schedules for Clinicians’ Interview in Psychiatry. Proceeding from Third Annual Ain Shams International Congress on Psychiatry. Luxor, Egypt: March, 2007. 8. Aboraya A. The Computer Version of the Schedules for Clinicians’ Interview in Psychiatry (SCIP): A new instrument for psychiatrists with dual function: clinical management and research. Proceeding from Fourth Annual Ain Shams International Congress on Psychiatry, Hurghada, Egypt: March, 2008. 9. Aboraya A, Tien A. Schedules for Clinicians’ Interviews in Psychiatry (SCIP): work in progress. eCOMMUNITY: Int J Mental Health Addict. 2004. 10. Aboraya A, Rankin E, France C, et al. The reliability of psychiatric diagnosis revisited: the clinician’s guide to improve the reliability of psychiatric diagnosis. Psychiatry (Edgemont). 2006;3(1):41–50. 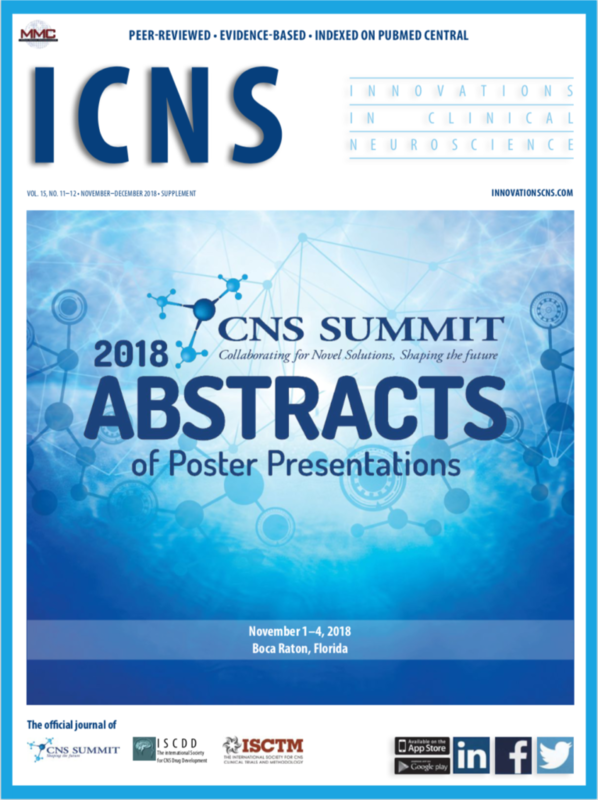 © 2019 Innovations in Clinical Neuroscience. All rights reserved.